Trump calls Comey "leaks" of memos "'cowardly'"
President Trump lashed out fired FBI Director James Comey on Twitter Sunday, saying he believes that "the James Comey leaks will be far more prevalent than anyone ever thought possible." "Totally illegal? Very 'cowardly!'" he tweeted. Mr. Trump was uncharacteristically restrained on the day of Comey's explosive testimony before the Senate Intelligence Committee and has since unleashed some of his frustration over the actions and words of the fired FBI director. 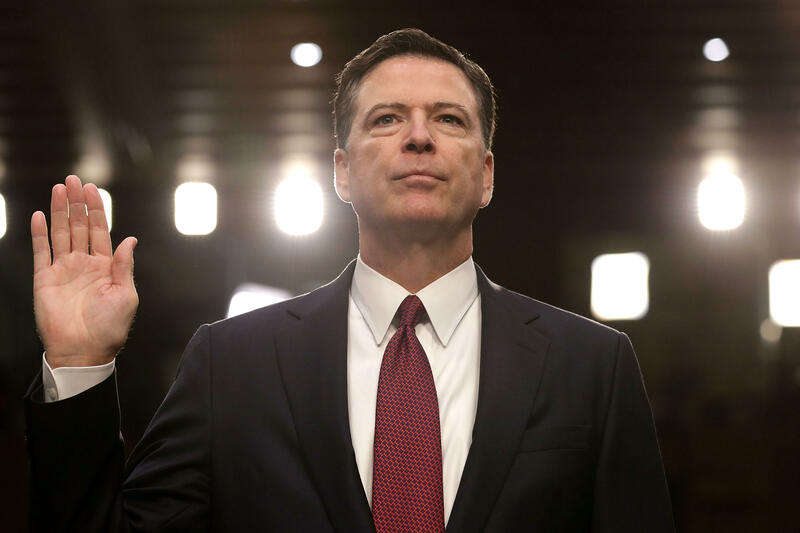 Mr. Trump has called Comey a "leaker," and said in a press conference Friday that some of Comey's statements before the Senate committee were untrue. The president said he disagrees with Comey's testimony that the president asked for his loyalty and urged him to drop an investigation into former National Security Adviser Michael Flynn. At the same time, Mr. Trump has said he feels vindicated by Comey's testimony. "Despite so many false statements and lies, total and complete vindication...and WOW, Comey is a leaker!" Mr. Trump tweeted on Friday. The tweet followed a statement the day before by Mr. Trump's lawyer, Marc Kasowitz, who said in a statement that the president "is pleased that Mr. Comey has finally publicly confirmed his private reports that the President was not under investigation in any Russia probe." The statement went on to say that Mr. Trump "feels completely and totally vindicated," and that "he is eager to continue to move forward with his agenda." Mr. Trump's lawyer plans to file a complaint with the Senate Judiciary Committee and with the Department of Justice Office of Inspector General over Comey's memos. Comey gave memos documenting conversations he had with the president to a friend, who in turn released the contents to The New York Times. Comey said he decided to disclose the memos that way instead of directly to the media because he feared contact with the media would be "like feeding seagulls at the beach."